This is not a misprint, as Cupid might recommend red roses, but today he is referring shoppers to another mythological-sounding locale, Athena Allergy, Inc., for buying gifts for nickel allergic loved ones and avoiding the rash! Certified Nickel Free products come with the unconditional lifetime guarantee to never test positive for nickel. The best way to find those trusted products is to look for the Certified Nickel Free™ brand. Each of these products is tested at Athena Allergy to assure there is no nickel. Passing that test earns the lifetime Certified Nickel Free guarantee to never test positive for nickel. 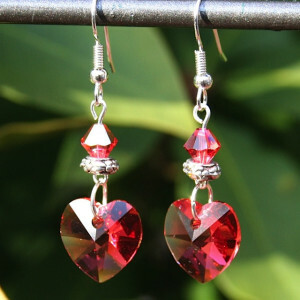 Jewelry choices for Valentine’s Day include beautiful heart-shaped Swarovski crystal earrings; these Beloved Hypoallergenic Earrings are a natural choice for the holiday of love! There are over 70 designs of handcrafted hypoallergenic earrings so there should be the perfect style and color for anyone on your gift list! In addition to earrings, Athena Allergy currently has handcrafted necklaces and bracelets. 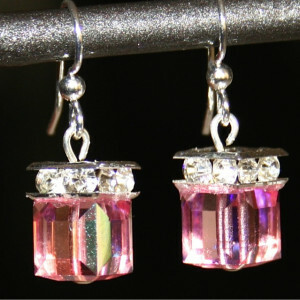 Sterling silver post earrings make a terrific gift for any age Valentine! The sterling collection features fifteen nickel free sterling silver posts including sterling silver balls, birthstones, and novelty earrings. 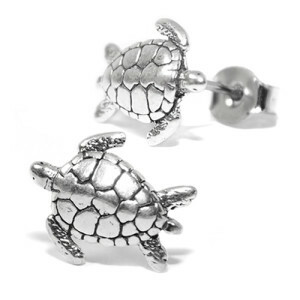 For beach lovers, it would be so easy to choose the perfect pair of sterling starfish or sterling sea turtles! Intricate designs in a nickel free post earring make these a great gift idea. Surprising numbers of men report their lives being changed as a result of their loved ones securing nickel free belts which have eased their uncomfortable abdominal nickel allergy rashes. The testimonials from these men and women make it easier to understand, so here’s a sampling: “We were beyond excited to find these belts!”, “Quality is fantastic!”, “Rash has disappeared and he is thrilled”. You can imagine these guys are really feeling the love on Valentine’s Day and every day as their uncomfortable allergy symptoms have disappeared. 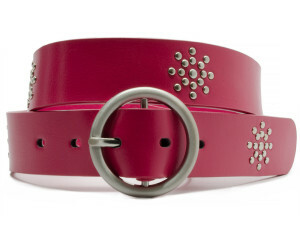 Athena Allergy also offers women’s nickel free belts, including a pink one that would be an amazing Valentine’s Day choice. The Pretty in Pink Nickel Free Belt is pretty, pink, and the perfect accessory for February 14th! 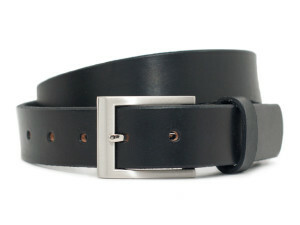 With over sixty men’s and women’s nickel free belts, the shopping is fun and finding the perfect belt is easy! All these great-looking belts are guaranteed to never cause that red rash from nickel on any day of the year! ← NoNickel Claims Honor as The Official Nickel Free Workshop of the North Pole!